I love when a few non-traditional ingredients come together to make something awesome. That is definitely the case with these mini ice cream balls. 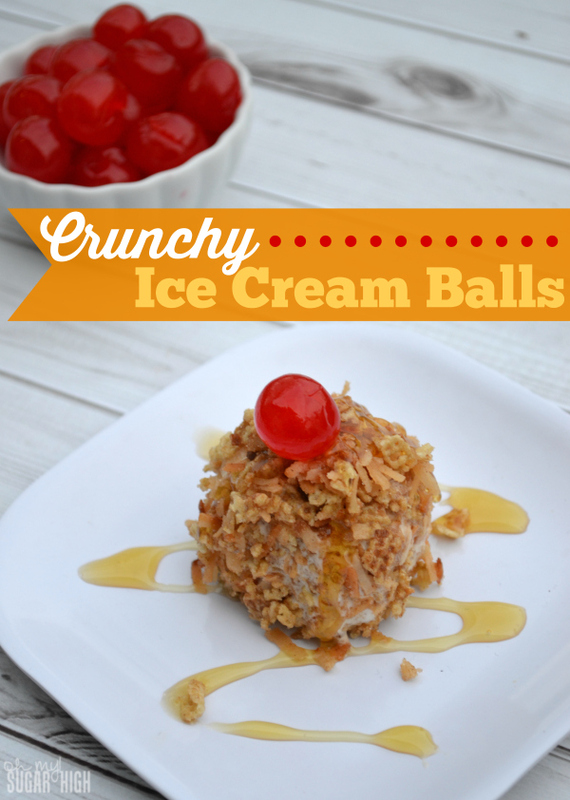 Much like Mexican Fried Ice Cream (except without the frying) these ice cream balls feature a sweet and crunchy outer coating that is out of this world! Offer this dessert up with a mini-bar of toppings. Just be sure to keep them in the freezer until just before serving. Place 12 small scoops ice cream on parchment or wax paper lined baking sheet. Freeze for 1 hour or until firm. Crush cereal in a ziploc bag. Add cinnamon and sugar and shake to mix. Add coating mixture to shallow baking dish. 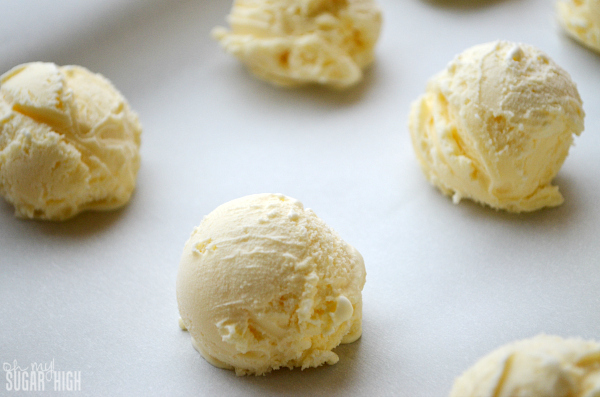 Shape ice cream scoops into a ball and roll in coating. (I recommend rinsing & drying your hands often). Serve immediately or return to freezer until ready to serve. 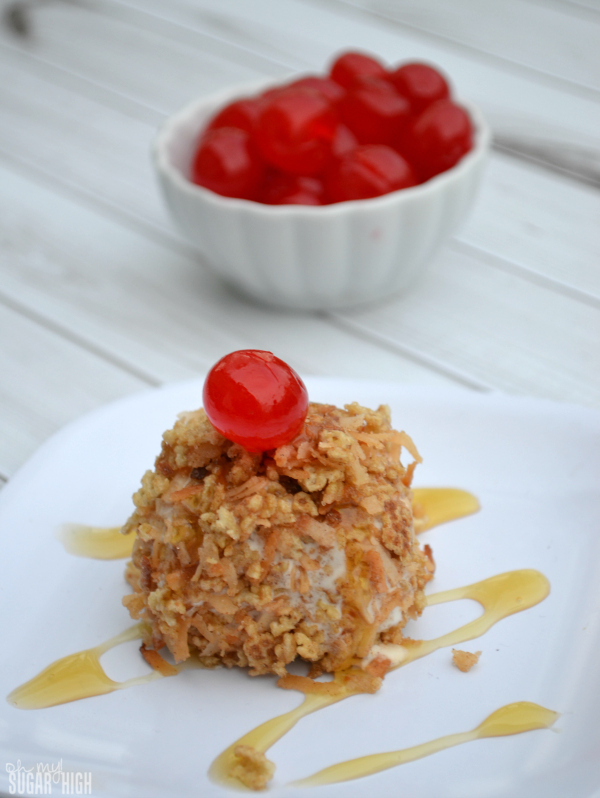 Drizzle honey on top. Sundae toppings would also be a great addition such as hot fudge or strawberry sauce, whipped cream and a cherry on top! Feel free to substitute other kinds of cereal. This is a great serving size for children or anyone who is trying to limit their portions. You can make larger, 1/2 cup serving size as well.